Each set of these football team dolls represents key players on a successful team for a specific year. The best, or most popular player, such as the quarterback, is the largest doll. 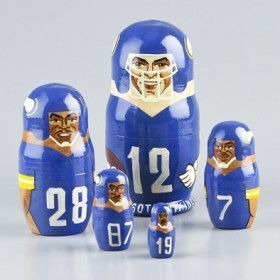 These Russian matryoshkas are extremely rare, so get your favorite American football team today!